Think about the questions you answer most often. Is there something that you find yourself explaining over and over again to different customers or clients? Do the same questions pop up in your inbox time after time? Frequently asked questions make great webinar topics because your audience is essentially telling you that this is something that they want to learn about. Take a look at your blog’s analytics or your Facebook insights to see which posts received the most views, shares and comments. 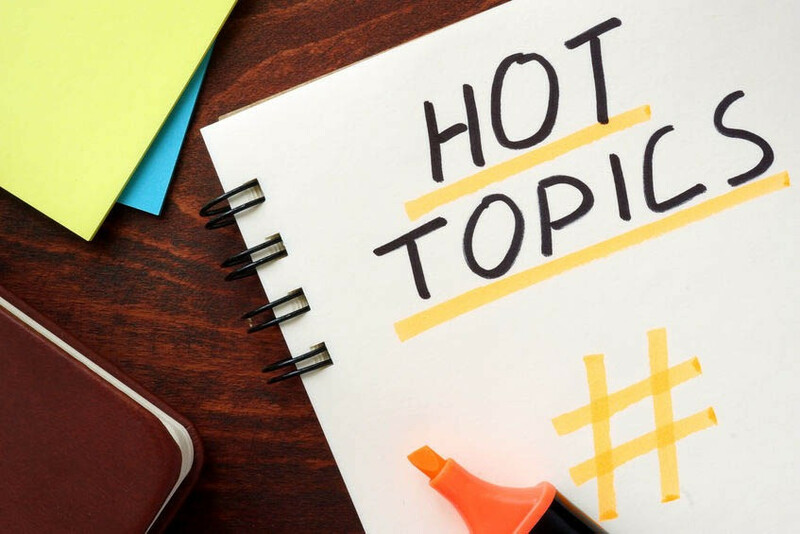 Popular posts indicate which topics your audience is most interested in, and are a great source for webinar topic inspiration. Consider repurposing the content from your most popular posts into webinars, or expanding on the topic for a more in-depth presentation. Some of the best webinars are those that solve a problem. To uncover your target audience’s pain points, look online for negative reviews of similar products or services, or read only the 3-star reviews of best-selling books on your area of expertise. Take note of what kept the customer from giving a great review. What was missing? What part of the problem didn’t it solve? Then build a webinar around solving that problem. Once you’ve come up with a handful of webinar topics, we recommend asking yourself a few questions to ensure they are a good fit. • Does the topic offer real value to your target audience, is the takeaway something they can actually use? • Is it easy enough to digest, but complex enough to require a 30-60 minute presentation? • Does the topic relate to what you’re selling, is your product or service the next logical step? Choosing the right webinar topic is all about knowing your target audience, and understanding what they need and want. If you can answer their questions, solve their problems and choose topics they’ve expressed an interest in, you are well on your way to a successful webinar. It’s also important to keep in mind the quality of your webinar service. If you are relying on free software for your webinars, you may be missing the mark. Free webinar services offer limited features, often lacking the ability to archive presentations and providing little technical support, which is why more and more businesses are investing in webinar service providers.